For the right candidates, LASIK eye surgery can be a life-changing procedure. And thanks to ongoing advances in technology, the procedure continues to have high success and safety records. Most patients achieve better vision and become less dependent on their glasses and contacts. Still, top Charleston LASIK surgeon Dr. Kerry Solomon understands that many potential candidates are nervous or apprehensive about the idea of undergoing LASIK. If this applies to you, don’t let fear stop you from obtaining crisp and clear vision. Here, Dr. Solomon shares five reasons not to be afraid of LASIK. 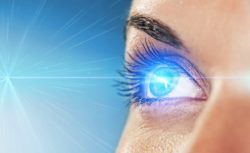 Reputable LASIK surgeons like Dr. Solomon are knowledgeable in using the latest and most advanced diagnostic methods and technologies, which allows for very accurate measurements and risk screening. Before recommending LASIK, your surgeon will carefully evaluate your eye health and vision. If Dr. Solomon and his team determines that LASIK is not right for you, he will discuss alternative refractive options to help you to achieve clear vision. LASIK is a quick and virtually painless procedure. Before surgery, your eyes will be numbed with anesthetic eye drops, ensuring your full comfort. The entire LASIK procedure takes less than 30 minutes to complete. Many patients assume LASIK involves a long and painful recovery, but this is simply not true! It is normal to experience minor discomfort and side effects (e.g., stinging, tearing, dry eye, blurry vision) following LASIK but these side effects are normal and typically very tolerable. Most patients are cleared to return to work and resume normal activities, including driving, the day after LASIK. With LASIK, there is very little wait time to see results. Though it is normal for patients to experience fluctuation in their vision after LASIK, most patients see an improvement in their vision as soon as the day after LASIK. More than 15 million LASIK surgeries have been successfully performed worldwide, making it the most commonly performed laser vision correction procedure. In addition, according to a study published in the Journal of Cataract & Refractive Surgery, LASIK holds the highest satisfaction rate of any elective procedure, at 96 percent. The best way to ensure a safe and successful procedure is to work with an exceptionally trained and skilled LASIK surgeon with years of experience. A leading authority in refractive surgery, Dr. Solomon performed South Carolina’s first LASIK procedure in 1996 and has performed thousands of procedures ever since. Thanks to his superior technical skill and individualized approach, a large portion of his patients come to his practice via referrals from former patients. Dr. Solomon is genuinely invested in the wellbeing of his patients and dedicated to helping enhance their quality of life by eliminating their dependence on glasses and contacts. The first step towards restoring your sight is to schedule a complimentary consultation with Dr. Solomon’s team. Contact his Charleston office by calling (843) 732-2020 or filling out our contact form online.